According to CM (Council of ministers) approval number 152 dated 3/2/1318 (1939) Wolesi Jirga (House of Representatives) approval number 11 dated 19/6/1318,(1939) Meshrano Jirga(senate) historical approval dated 12/6/1318(1939) and then-king’s approval number 1317/5280dated17/11/1318,(1939)Da Afghanistan Bank was established in capital Kabul with initial asset of 120 million Afghanis, which, with its defined authorities and responsibilities, was able to set up its branches and subsidiaries inside and outside the country. 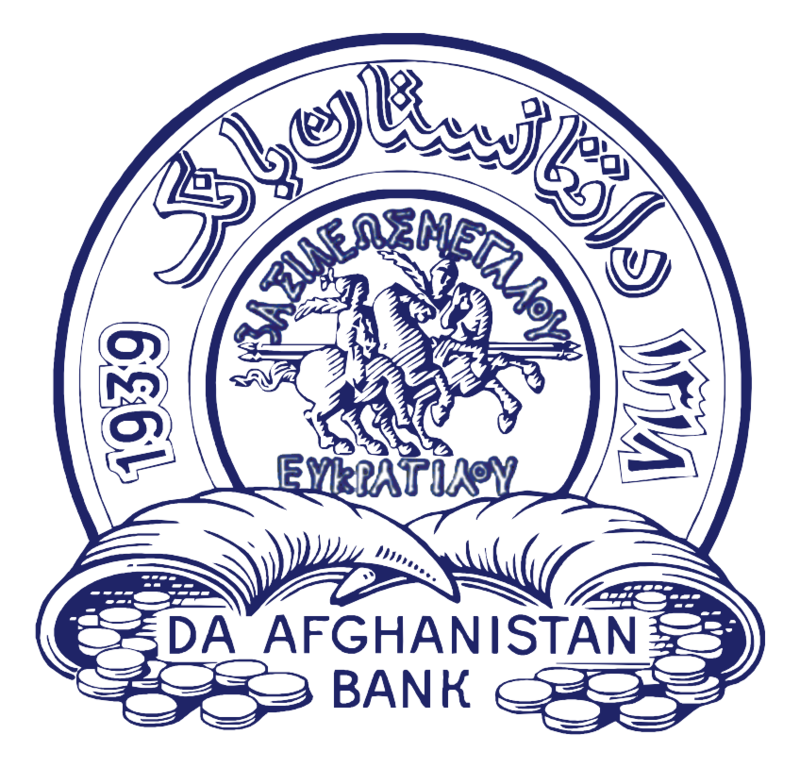 The vision of Da Afghanistan Bank is that of a monetary institution which upholds international best practice in fostering price stability and a sound financial system conducive to macro-economic stability, favorable investment climate, private sector development and broad-based economic growth. The mission of Da Afghanistan Bank is to foster price stability and build a robust financial system. The primary objective of Da Afghanistan Bank is to achieve and maintain domestic price stability. 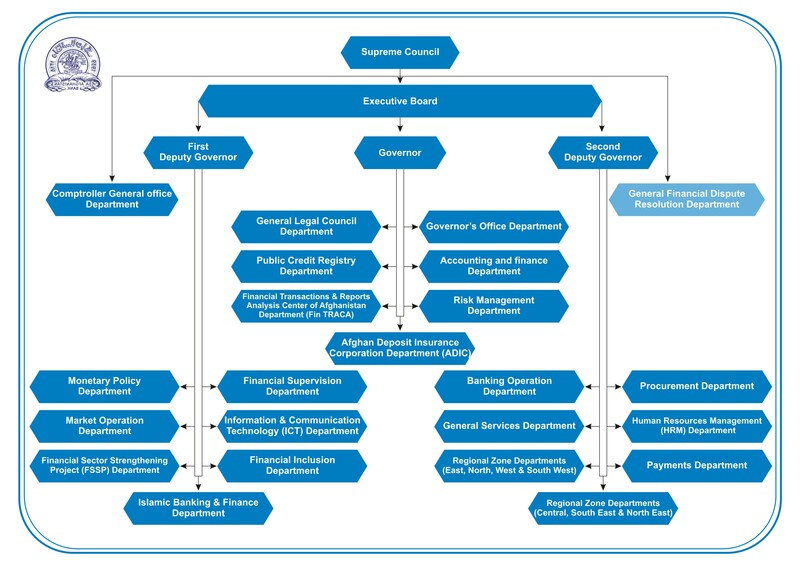 Other objectives of Da Afghanistan Bank which are subordinated to the primary objective are: to foster the liquidity, solvency and effective functioning of a stable market based financial system, and to promote a safe, sound and efficient national payments system. Considering its main objective, Da Afghanistan Bank supports general economic policies of government and strengthens sustainable economic growth. (1)Formulate, adopt and execute the monetary policy of Afghanistan,(2) Formulate, adopt and implement currency policy and Afghanistan currency arrangements,( 3) Hold and manage the official foreign exchange reserves of Afghanistan, (4) Print, mint and issue Afghani banknotes and coins, (5) Act as banker and adviser to, and as fiscal agent of the State, (6) License, regulate and supervise banks, foreign exchange dealers, money service providers, payment system operators, securities service providers, and securities transfer system operators, (7) Establish, maintain and promote sound and efficient systems for payments, for transfers of securities issued by the State or DAB, and for the clearing and settlement of payment transactions and transactions in such securities. Enhancing the Effectiveness of Monetary Policy towards Supporting Sustainable Growth and Economic Stability. Increasing and Maintaining of Organizational Effectiveness and Ensuring the Viability of Core Activities. Strengthening of Infrastructures and Legal, Regulatory and Supervisory Framework to Ensure Stability of Financial Sector. Development of Physical Infrastructures and Ensuring Security and Upgrading of IT and Communication Systems. Improving the Human Resources Management System to Increase the Proficiency and Development of Employees. Ensuring a Safe and Effective Payment System and Establishing a Central Securities Depository. Da Afghanistan Bank is committed to fulfilling the needs of the public. Da Afghanistan Bank takes pride in offering the best services to its stakeholders including the government for which it acts as a fiscal agent. Da Afghanistan Bank is committed to upholding professional ethics and integrity in all its activities. 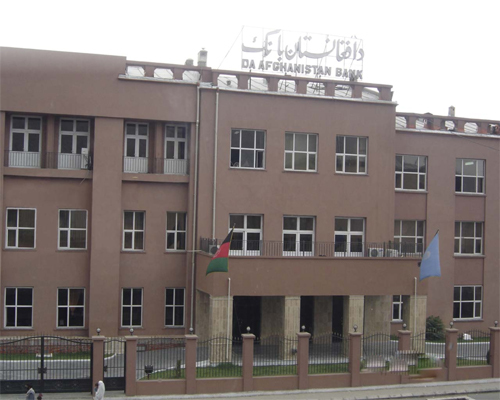 Da Afghanistan Bank accepts and welcomes public scrutiny of all its actions. Da Afghanistan Bank is committed to practicing what it preaches at both the organizational and individual levels. Da Afghanistan Bank is committed to working together within and across organizational divisions. Da Afghanistan Bank is committed to the fair treatment of customers, employees and other stakeholders. This includes a conducive working environment and gender sensitivity. Da Afghanistan Bank maintains appropriate confidentiality in all transactions with its customers, employees and other stakeholders.